IBM provides many performance tools for i, but what does each tool do and when is the best time to use it? This session will help answer those questions by providing an overview of many System i Navigator, IBM Systems Director Navigator, and green-screen performance tools that can be used to collect performance data, view historical data, and analyze performance issues. Learn which tools to use to provide your `first level of defense` for preventing serious performance problems and understanding system performance. Learn which tool to pull out of your toolbox if a problem does occur and you need to analyze and fix the problem. The IBM Systems Director Navigator for i has `Performance` tasks that includes many traditional i performance tasks. It also has the ability to manage your performance data collections. The most exciting feature is the `Investigate Data` task, which provides the ability to graphically view your i performance data; Collection Services, Disk Watcher, Job Watcher, and Performance Explorer data can all be 'investigated' through this interface. This session will go through all the capabilities of the Performance Data Investigator. The IBM i development team has been very busy working on improving the IBM Systems Management solutions for i. This session will review the latest offerings and enhancements and will include the new iAccess Solutions client and Navigator for i enhancements that will be available later this fall. These enhancements provide not only new features, but also improved performance and ease of use. Dawn May is a Senior Technical Staff Member with IBM in Rochester, Minnesota. Dawn's current position is a consultant on IBM Systems Director in IBM Lab Services and Training. Prior to this, Dawn was the lead of the Performance and Scalability Services Center. Previous responsibilities include technical lead for the IBM i Systems Software Development organization and IBM i Business Architect where she had the responsibility for the overall strategy and plan for the core components of i. Dawn also had technical leadership responsibilities for i performance and diagnostic tools and led the development of the 6.1 and 7.1 performance tools enhancements, which included the "Performance" tasks in the IBM Systems Director Navigator for i Web console. Other past responsibilities include testing, SNA and TCP/ IP communications development , service tools development, and work management development. Dawn May is a senior technical staff member at IBM in Rochester, Minn. She’s the technical lead for the IBM i Systems Software Development organization and an IBM i Business Architect. Dawn’s responsible for the overall strategy and plan for the core components of i. Dawn also has technical leadership responsibilities for i performance and diagnostic tools; she led the development of the 6.1 performance tools enhancements, which includes the new Performance tasks in the IBM Systems Director Navigator for i5/OS Web console. Past responsibilities include testing, SNA and TCP/ IP communications development, service tools development and work management development. Dawn also maintains a blog, i Can Technical Tips for i.
Thursday, June 14, 2012 - Fireside Inn, West Lebanon NH. Steve will review IBM announcements since last June's meeting. These will include updates to IBM i and Power Systems servers, and new storage products. How are customers using new capabilities like Solid State Drives or DB2 enhancements to be more productive? 2011 was the most expensive year in history for Natural Disasters. IT Managers are under pressure to backup more data and if disaster strikes - data loss is not an option! IBM i sites worldwide are changing the way they look at Disaster Recovery and High Availability. Tape backups no longer provide the protection that most modern businesses demand – recovery times are just too long and the recovery points can lead to lost data. The problem is that alternative solutions seem too expensive or too complicated. Is the emergence of Cloud DR the game changer? Simon O’Sullivan of Maxava will outline the latest DR & HA options open to IBM i sites. Google Apps is a suite of products that lets you create different kinds of online documents, work on them in real time with other people, and store your documents and your other files -- all online, and all for free. With any device with an Internet connection, you can access documents and files from any computer, anywhere in the world as can your employees, your clients or your vendors. This presentation will give you an overview of the many possibilities of what you can do using Google Apps and your IBM i DB2 data. The possibilities are endless for using Google Apps such as using a Google spreadsheet for physical inventories, using a Google calendar to publish manufacturing date schedules or Employee vacations or birth dates and even distributing reports as PDF in Google documents. This power packed seminar is geared towards a half day (3.5hrs to 4hrs) of presenting. The focus is on mobile development for RPG programmers and dives into many areas including showing how to do the complete setup of a programmers desktop environment for Android development and producing a first Hello World program, all the way to doing HTML5 mobile development. After doing initial introduction I dive further into the technologies to show some real-world applications I have developed that show how one can leverage their RPG knowledge and take their company to the next level without leaving the IBM i platform. All tools and utilities are free and open source so all attendees can try them at no cost to their business! In this session you will learn how RPG's Java interface extensions can be used to exploit the wealth of Java Open Source applications. We will start by explaining the basic RPG syntax extensions and demonstrate how the interface works through practical examples. Examples will include: Interfacing with the Twitter API to easily send tweets (a.k.a. status updates) from your RPG programs Creating QR codes interfacing with Zxing API's from the community and Google Building pie charts, bar graphs, and more buy interfacing to the JFree.org APIs We will also discuss how the performance of such Java utilities can be improved through the use of server job and data queue interfaces. I got a wild hair the other week and decided to buy domain www.SureYouCanHaveTheKeys.com because I am on a mission to prove to IBM that all these Java tools they keep coming out with aren't giving my RPG shop what I need to keep my business at the highest level of the market competitiveness - too many layers of technological bureaucracy to do simple business applications. My mantra is there is very little RPG can't do. So why not put that mantra to the test by creating an application for Android and web? Picture this: Your child gets their first Android phone, and you would like to know where they are and what they do with the family vehicle, so you install a small application that uses the phone's GPS capabilities to feed coordinates to an IBM i server on the internet. The IBM i server is running Apache and RPG to receive the data into DB2. All the while the parent logs into a web interface, built using only RPG on the server side, and review, in near real-time, where their child is located by watching a GoogleMap. Pretty cool, eh? This session will guide you through the steps necessary to develop both the Android and server side RPG code to accomplish the project. All tooling utilized to create the project is free and open source! Aaron Bartell is a Senior Software Developer for Krengel Technology Inc. Aaron focuses much of his development in the area of creating modern applications using RPG and Java on the IBM i and Android platforms. He is the lead developer of RPG-XML Suite (www.rpg-xml.com) and the primary "pusher" of OpenRPGUI.com. He enjoys being part of the strong IBM i community through forum participation, article writing and providing open source software on his personal website - http://MowYourLawn.com. Aaron has most recently been pursuing how he can use his abilities to benefit those in need. He started the site www.SofwareSavesLives.com as a mechanism to raise money for digging clean water wells in Africa and feeding starving children. The integrated Web Application Server is the foundation for many Web based interfaces within IBM i. The IBM i team uses this Web container for a wide array of web based interfaces, learn how you can also make use of this technology. This best part, the Web Server is part of the IBM i operating system, no additional products to install, no foreign install mechanisms to run. Introduction to Web Services and why they are important. We will show you how the RPG developer can quickly both deploy their own Web Services (ie make an RPG program callable from the Web!) and how to easily call a Web Service from your native RPG code. Best news: you already have this support on your system! There are no new tools to buy or install. Are you concerned about the resources it takes to deploy new applications as well as maintaining your existing ones? Have you ever spent hours troubleshooting an application issue, and thought “there must be a better way to figure out what is wrong”? Are you looking for ways to improve the efficiency of application validation and problem determination? 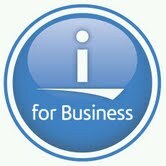 If so, then the IBM Application Runtime Expert for i is for you. The IBM Application Runtime Expert for i (ARE) is a new product that has the potential to revolutionize how you support and service your applications and systems. ARE provides a methodology for ensuring consistent deployment and performance for any type of application workload and the system environment it runs in. With this methodology, you have the opportunity to reduce the amount of time and money required to support your applications and the systems they run on. In this session, you will learn how ARE can be used to make application deployment and support faster and more efficient. There will be a demonstration of its intuitive, easy to use graphical interface, which allows users to start making use of ARE within minutes!